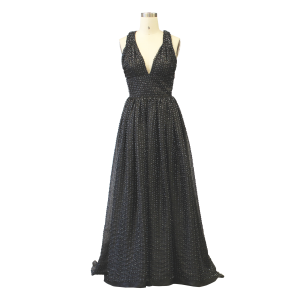 A deep v-neck, halter back fitted gown that features a stretch sequins fabric. 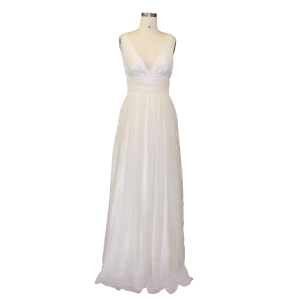 Hand cut beaded lace appliqués are sewn to the keep sheer tulle v-neckline and skirt. 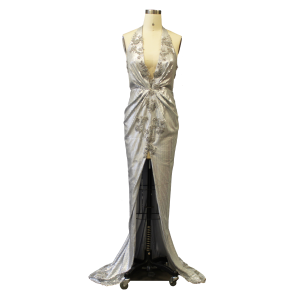 The skirt is draped at the waist and opens up into a high center-front slit. 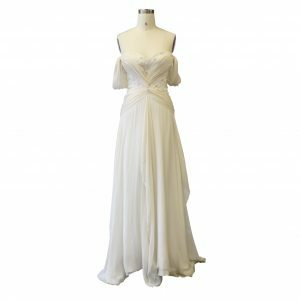 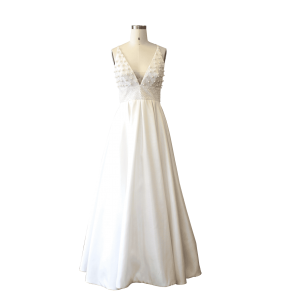 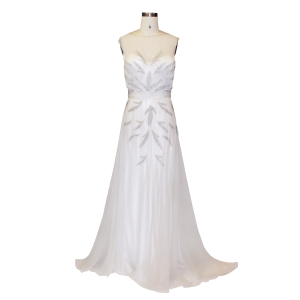 A deep v-neck, pleated gown that features beading on straps, bodice and the criss cross waistband. 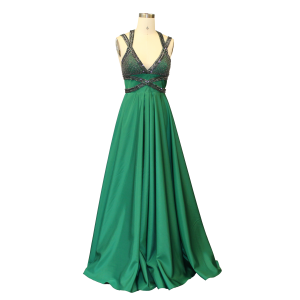 The hand beading is done in a contrast color to highlight the bodice details. 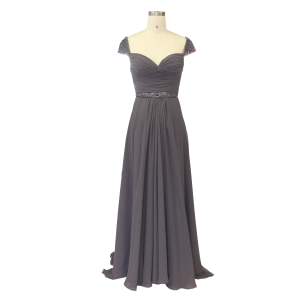 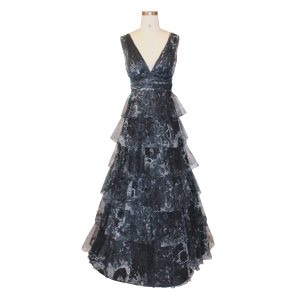 The full taffeta skirt is carefully pleated at the waist to create a flattering a-line silhouette.